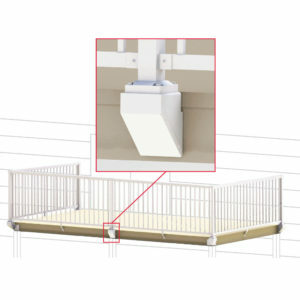 Connect stair hand and base rails securely to posts with the stair rail bracket kit. 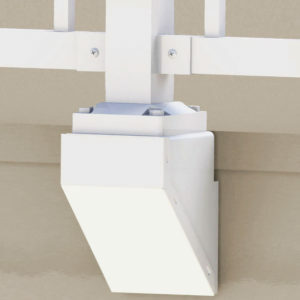 Each kit comes conveniently packaged with one hand rail bracket and one base rail bracket, with all fasteners included. 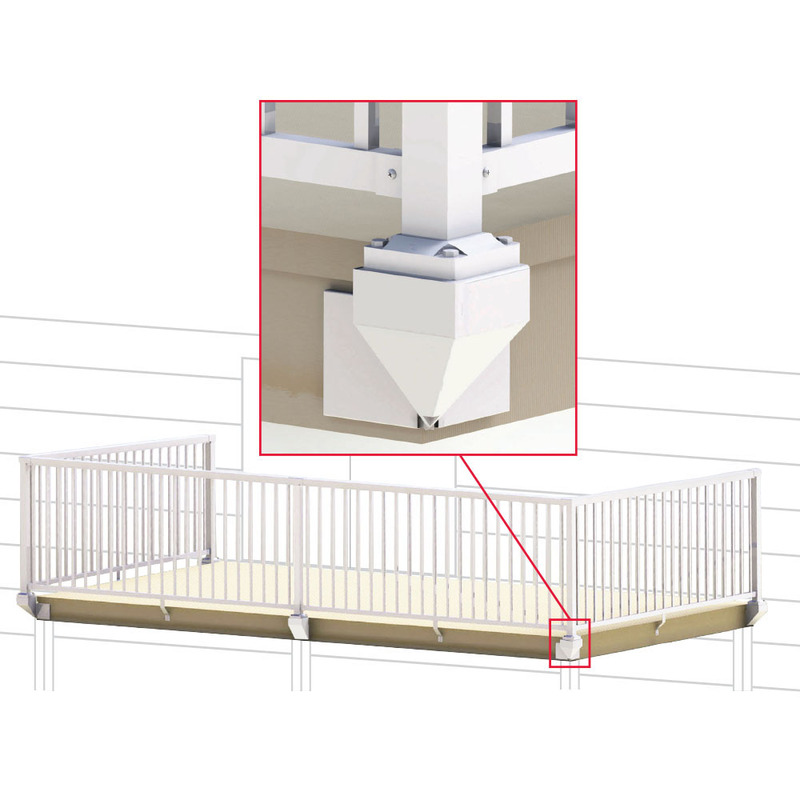 Connect hand and base rails securely to posts at angles other than 90-degrees, on horizontal planes. 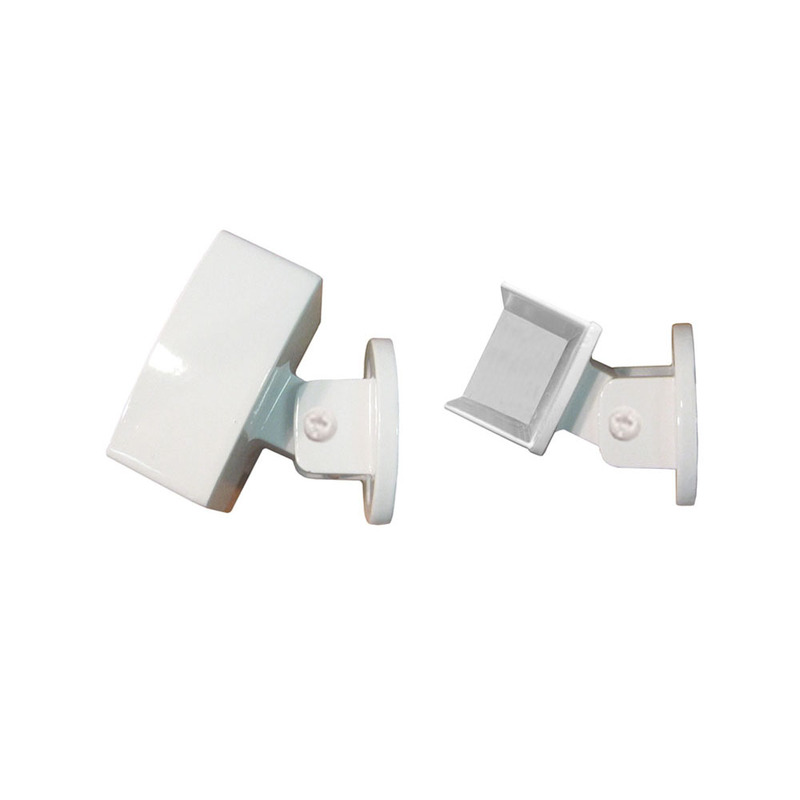 The universal connectors include one hand rail connector and one base rail connector, with all fasteners included. 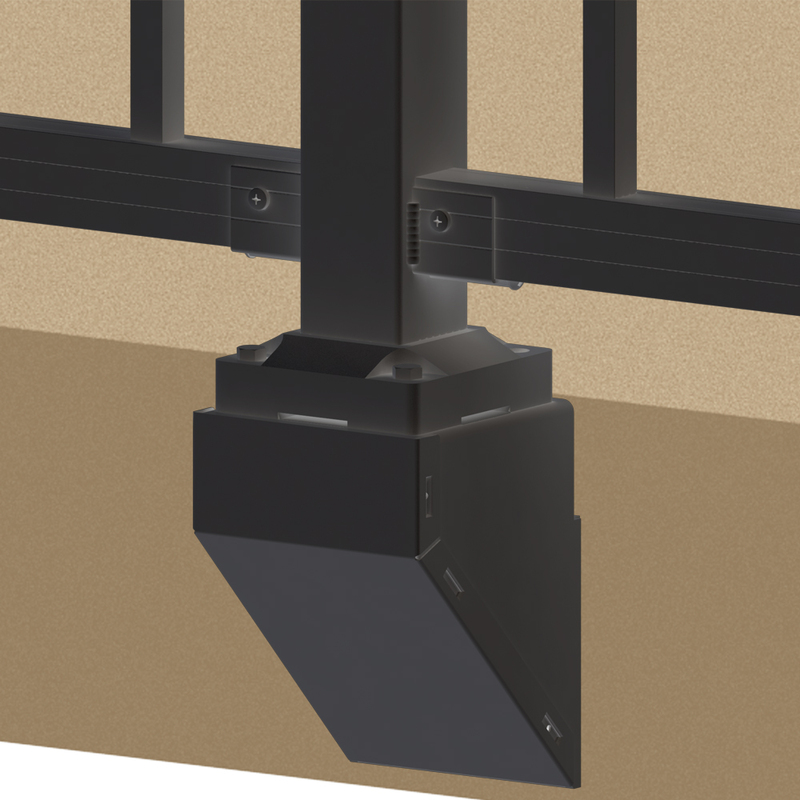 Connect hand and base rails securely to walls or existing posts with the wall mount bracket. 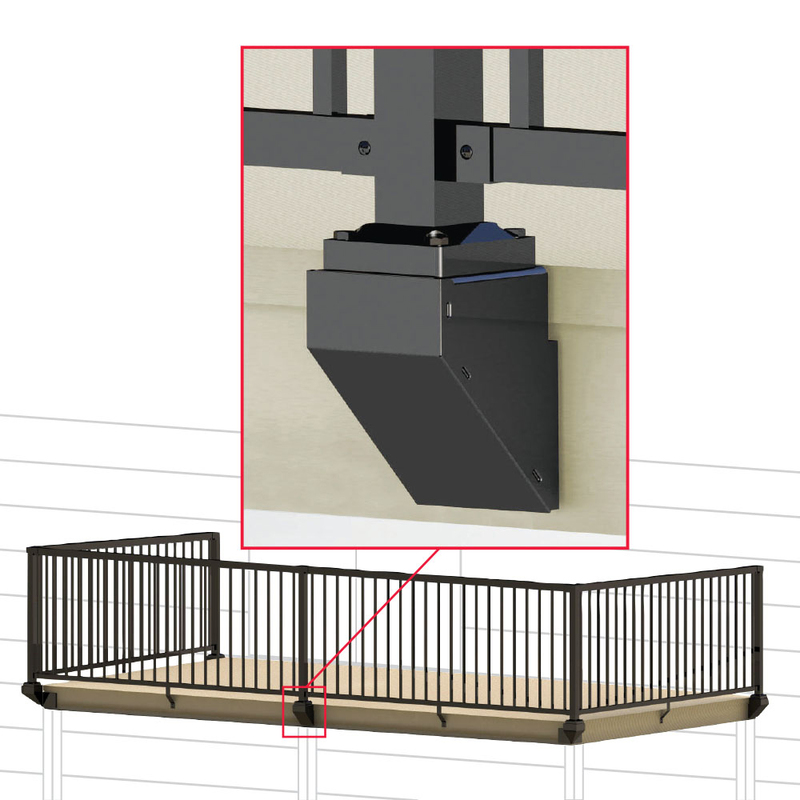 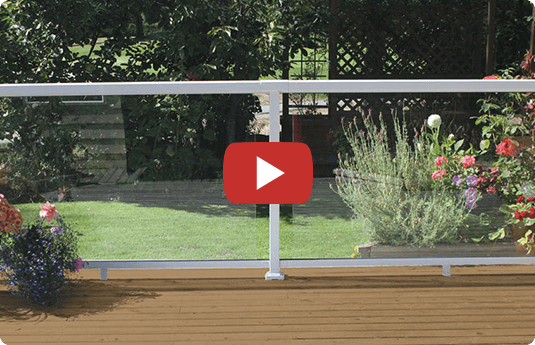 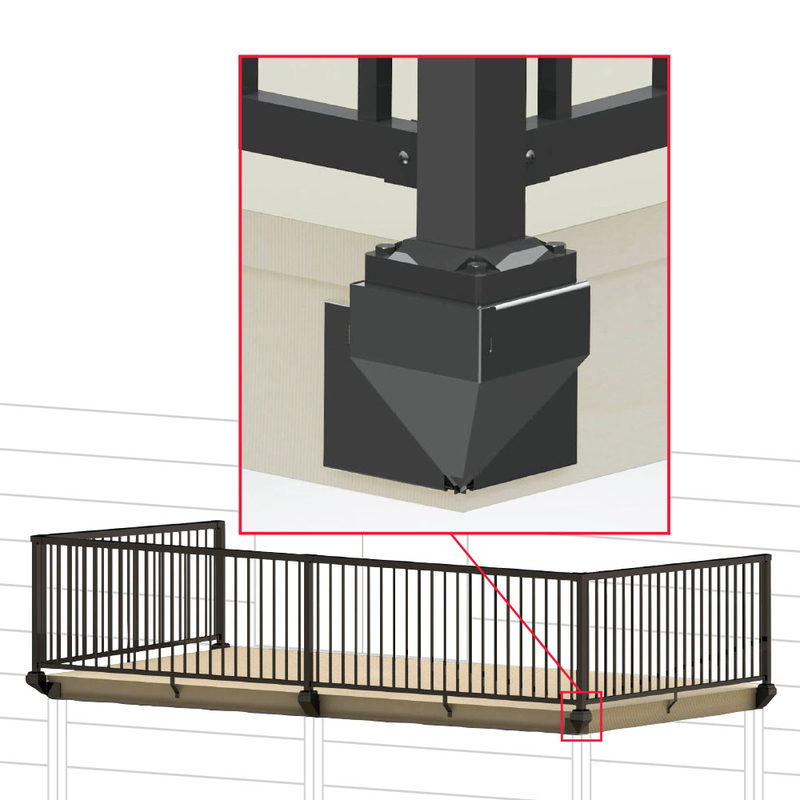 The wall mount bracket allows you the freedom to mount your railing system to different locations easily, a sure sign of the versatility of our railing system. 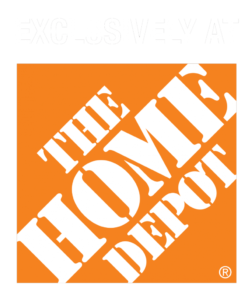 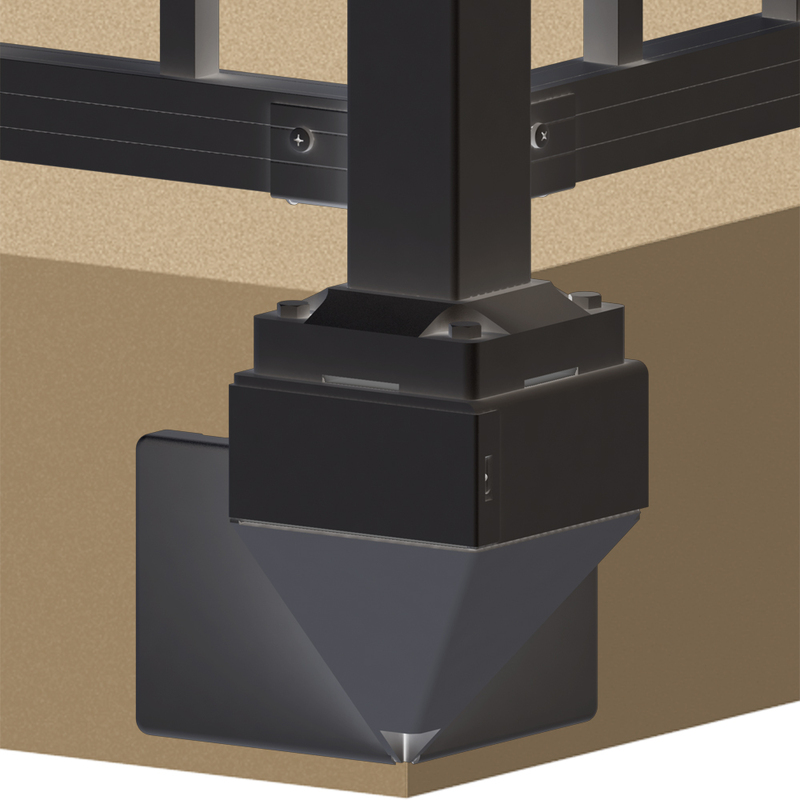 All fasteners are conveniently included so your installation is completely worry-free. 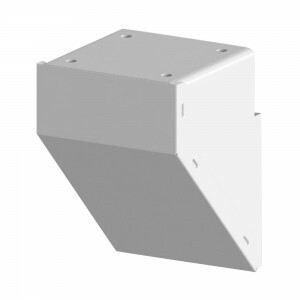 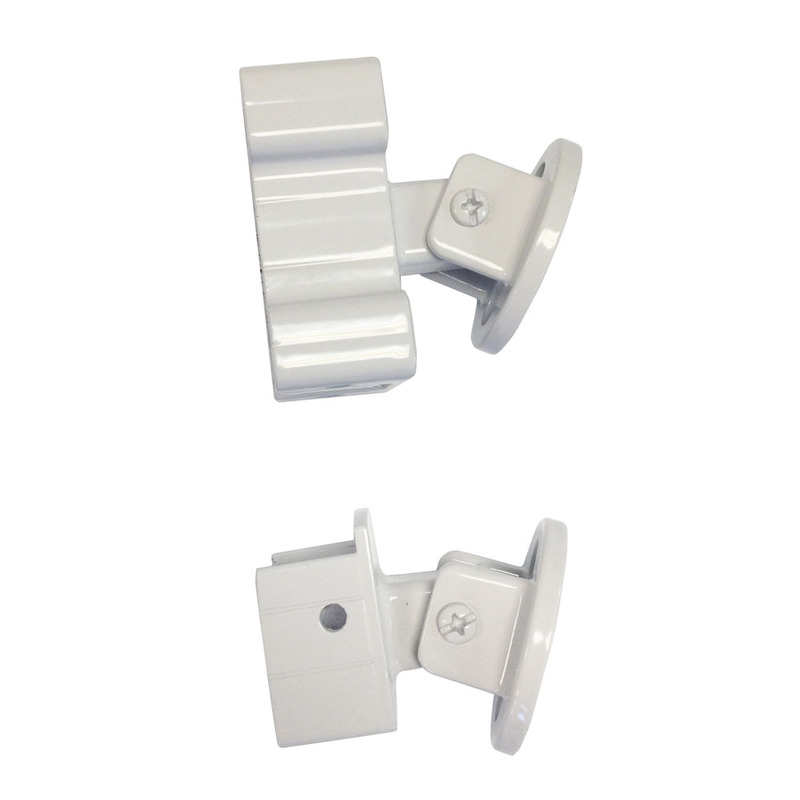 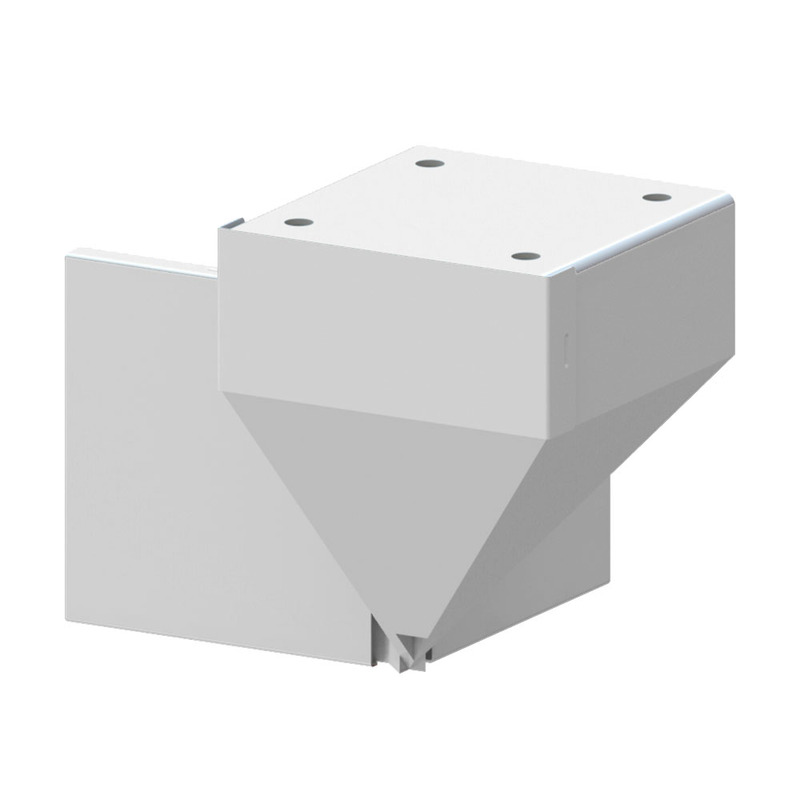 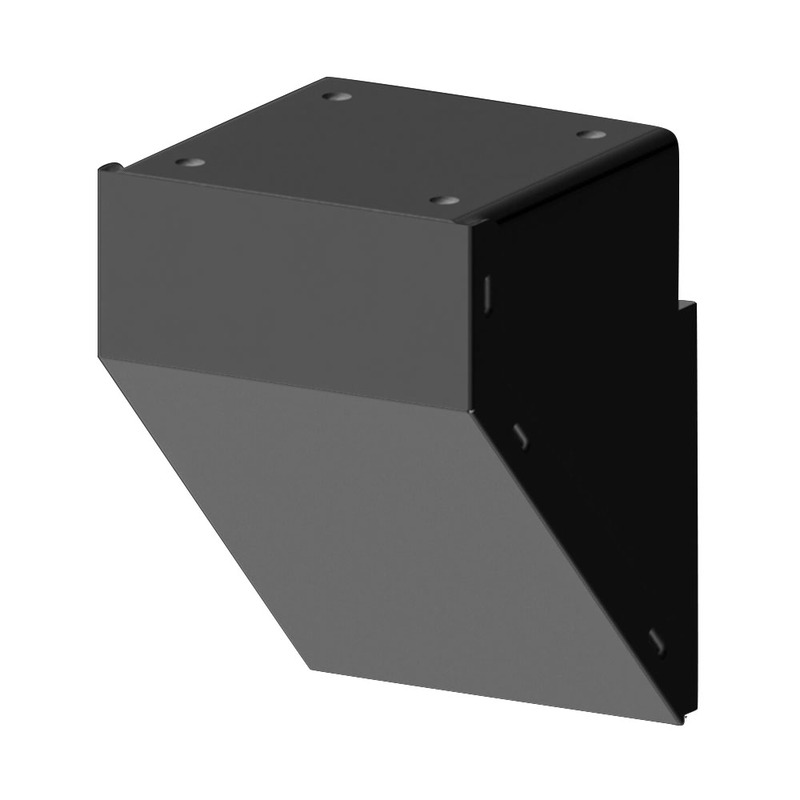 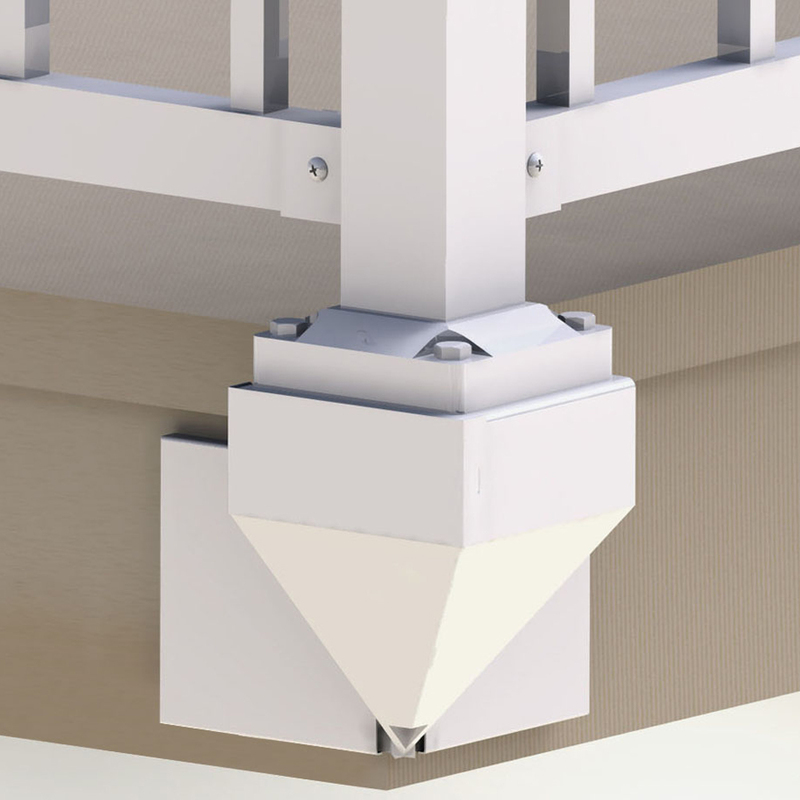 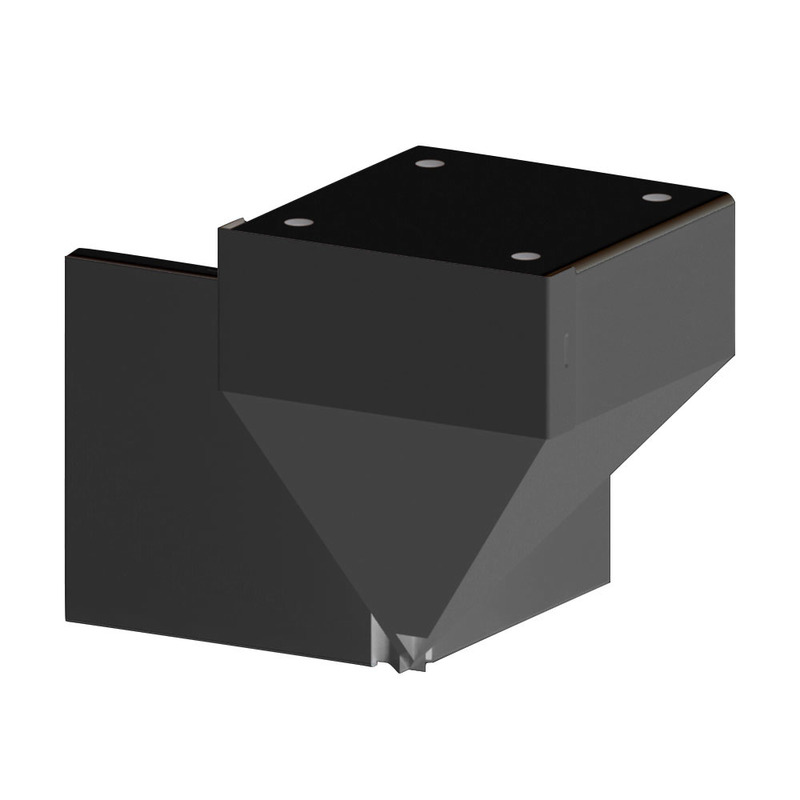 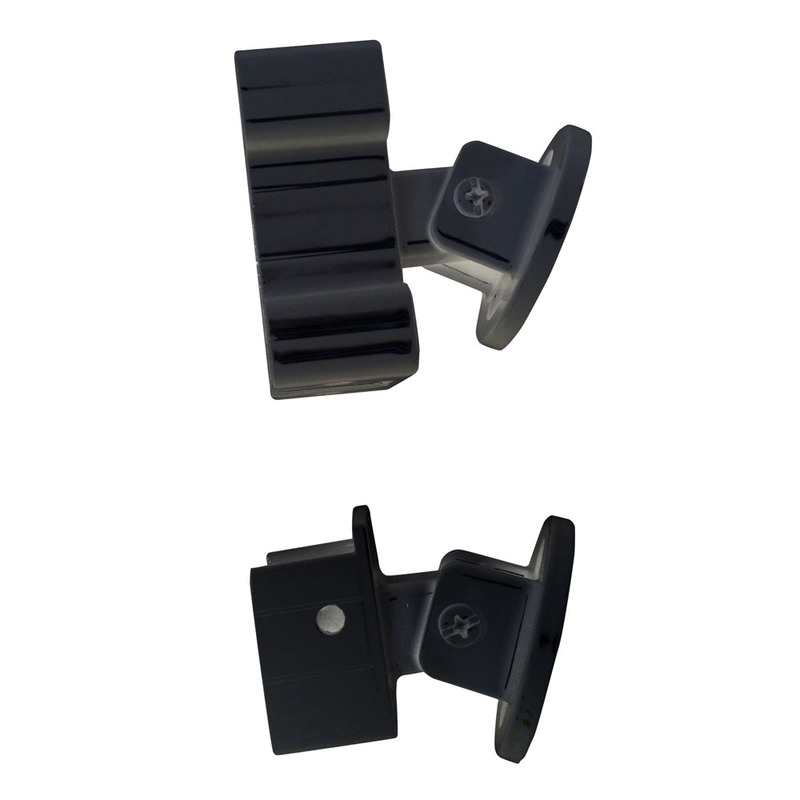 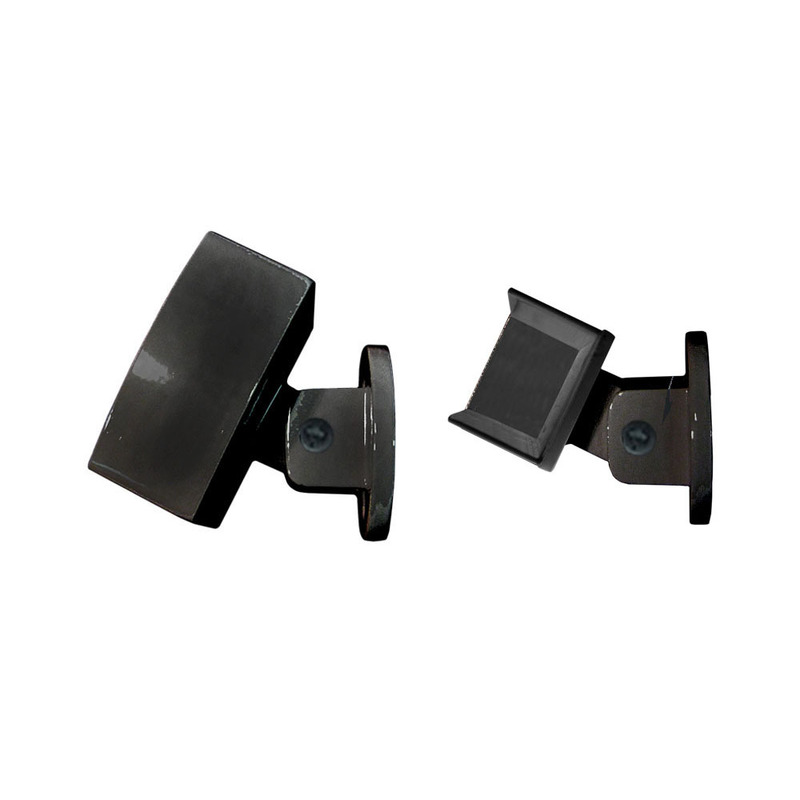 Connect corner posts to the front fascia of your deck with the corner fascia mount brackets. 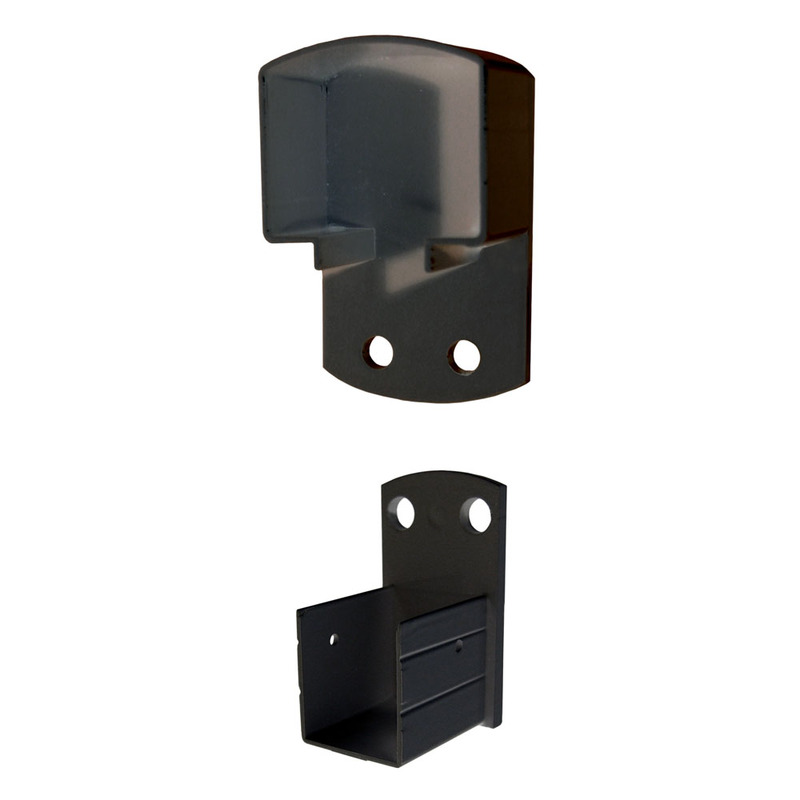 All required hardware is included in the kit and is fully concealed behind a strong faceplate once installed. 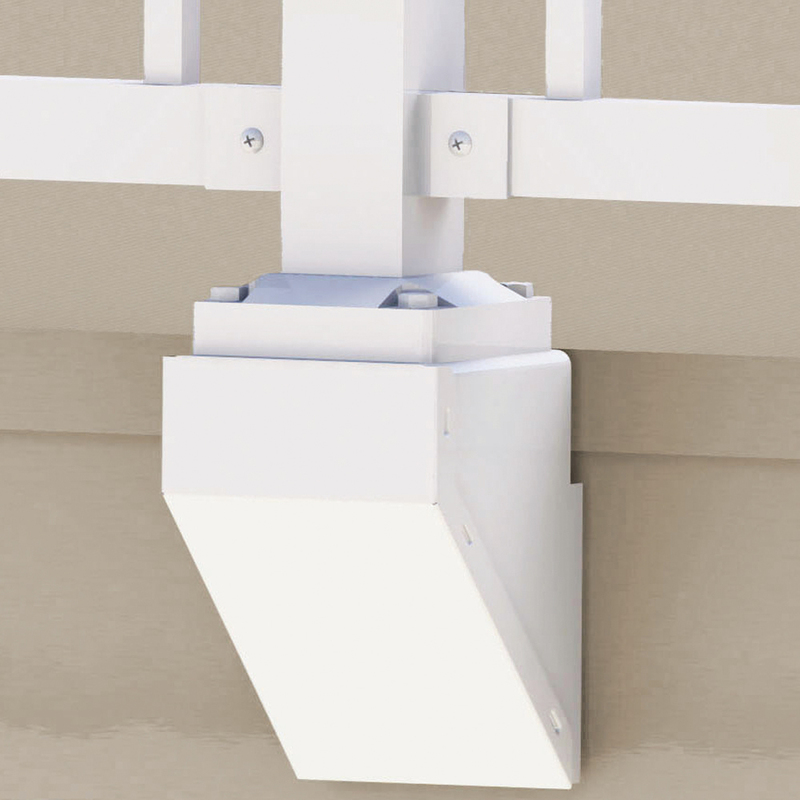 Connect mid/end/stair posts to the front fascia of your deck with the mid/end/stair fascia mount brackets. (This bracket is also used on inside corners.) 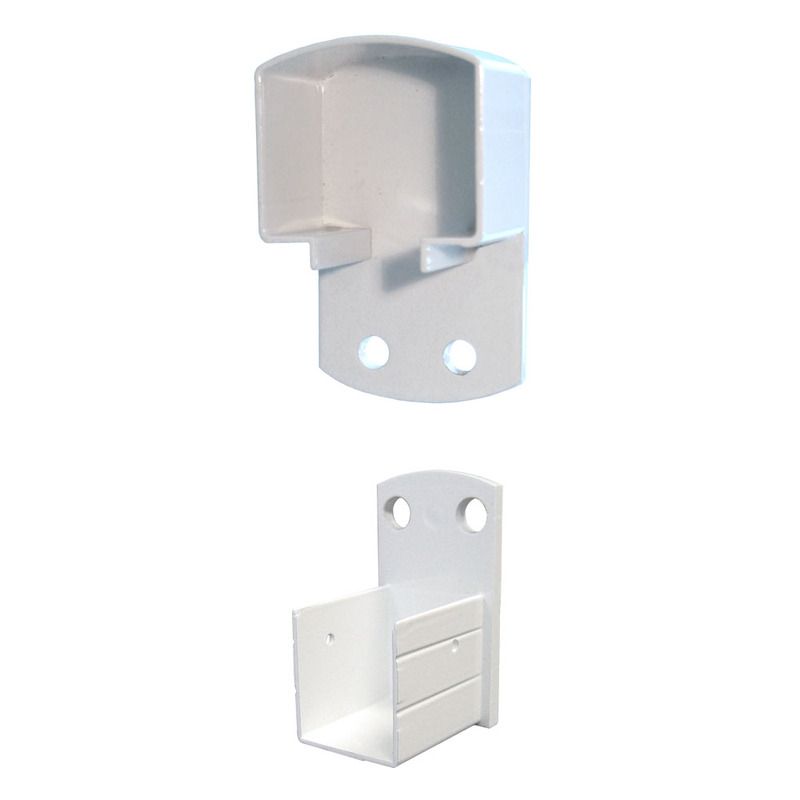 All required hardware is included in the kit and is fully concealed behind a strong faceplate once installed.